And Now a Poetic Interview with Susie Clevenger! Susie Clevenger is an author, poet, and amateur photographer. She was first published at the age of fifteen in Missouri Youth Write. She is author of the poetry collections, Dirt Road Dreams and Insomnia’s Ink. Her work has been featured in the online publications, The Creative Nexus, Poetry & Prose Magazine, The Brinks Gallery, The Global Twitter Community Poetry Project, and Journey of the Heart. She is a member of the Academy of American Poets, The Poetry Society of Texas and coordinator for the Blog Talk Radio program the Creative Nexus Café™. Susie resides in Houston, Texas with her husband, Charlie. Well, I am a 64 year old poet/author who calls Houston, Texas home. I have been married to my husband Charlie for 45 years and have two daughters. I love blues music, dancing and finding the humor in life. Oh, and I have ADD. I am a blond with a legitimate reason to be referred to as scatterbrained. I started writing poetry my freshman year in high school. After high school I stopped writing it. Why? I don’t know. It was a car accident in 2006 that reanimated the poet in me. A severe concussion + brain damage = poetry. There are so many wonderful poets, but Edgar Allan Poe was the first poet I was introduced to in my Freshman English class. I had a lot of dark secrets in me and his work helped me to voice it. I like to call him my godfather of verse. Goodness, I am not sure where to start with music. I’ve already mentioned blues music, but I love all kinds of music. One moment I might be listening to my friend Mike Zito, the next classical. I actually have Bach playing in the background as I’m writing this. I think because I can’t play an instrument other than my iPod I am urged by listening to music to fill that void with poetry. I actually write on both. I have journals all over the house, in my car, in my purse to store thoughts before I lose them. I tweak most of my work on the computer. One reason is if I get stuck in the creative process I can search the web for quotes, photos, music, etc. to break down the wall of writer’s block. I literally have the world at my fingertips. It would be where I do most of my writing, my library. I am surrounded by my photography, a messy desk and books. It is a little piece of the world that is totally me. Originally found on my post Writing Spaces. It is the freedom to say whatever I want without censor. It doesn’t mean I share all of it with the world. Writing poetry is therapeutic for me. I can “write out” whatever is troubling me. It is the joy of participating in art. I can paint with words what I lack in talent to paint with a brush. I don’t know. I really haven’t even thought about it, perhaps Emily Dickinson. I am a fan of her work and love her punctuation style. I find myself at times following a similar style. It gives a feeling of blank space that teases or encourages the reader to fill in the lines. to pillow spar with. I imagine he would carry quite a wallop though. I haven’t really done either of those. My public poetry readings have been in a poetry group and sadly at the funerals of my parents and in-laws. Maybe I should try a slam or open mic. someone needs. At least that is my hope. my hand at creating an image to fit my words. There are so many poetry forms I find I have no competence with. One of the hardest things for me to do is rhyme. It is always a struggle. I feel the poem reads like someone tried all they could to find words that rhyme. I do have small success when the poem is geared for a child or has a nursery rhyme hint to it. Seen becomes unseen when toes stand on end to chase what lies on the other side of the fence. I am tossing around ideas for my 10 minute spot on the Creative Nexus Café’s blogtalk radio show coming up on October 25th. to take me out of my mind? Tomorrow is the butterfly I chase. 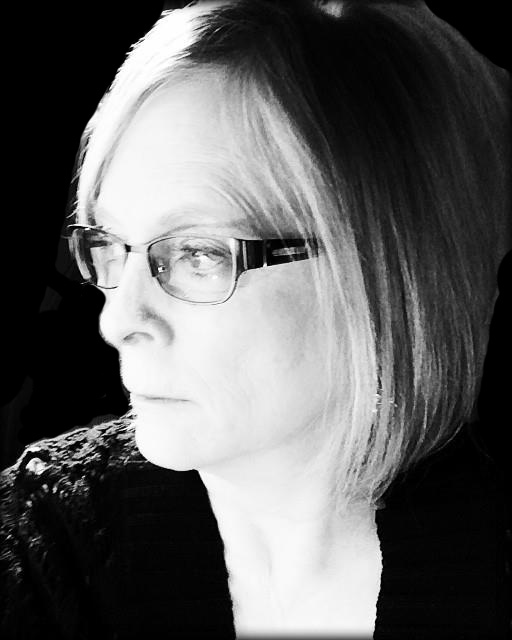 This entry was posted in interview, poetry and tagged interview, poetry, Susie Clevenger. Bookmark the permalink. I love Susie’s poetic eye and voice~ She dazzles and always makes me feel profoundly inspired~ @>—————— Great job, Ben and Susie! !